A few weeks back, we told you that a sequel of Angry Birds was on the way. Angry birds is one of the most popular mobile games boasting of 3 billion downloads with over 15 games.So successful was the game that it ventured into branded merchandise and even an upcoming movie based on the game. If you were one of the millions of people out here who hated the green pigs and feel protective of birds eggs, you might want to download the game which, is currently available on iOS and Android. 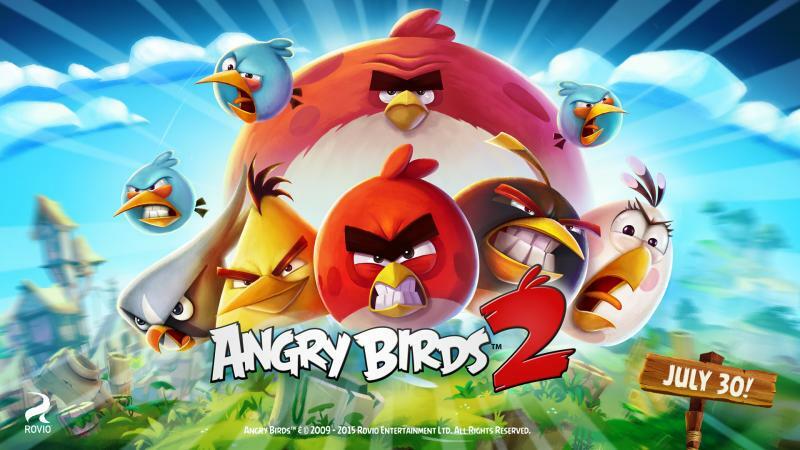 Angry Birds maker, Rovio has called the game “the mother of all sequels”. Angry Birds launched in 2009 and rapidly rose into one of the most popular games leading to follow-ups such Angry Birds Star Wars, Angry Birds Space and even one targeted at the female audience called Angry Birds Stella. Over time, the popularity of the game declined, with the rise of other games such as Temple Run, Candy Crush saga and Clash of the Titans.Looks like Rovio still has some Ammo left on this front, despite being very scanty with details about the upcoming game. Frankly, I and many others thought the Angry Birds 2 was already out based on the many versions of the game available. Get it here for Android and here for iOS.